The ALCATEL ONETOUCH Pixi 7 tablet was announced earlier in the year, and now the device is headed to the UK and it will be available for £69.99. The Pixi 7 tablet comes with a 7 inch display with a qHD resolution of 960 x 540 pixels, the device is powered by a triple core 1.2GHz processor and it comes with Android 4.4 KitKat. 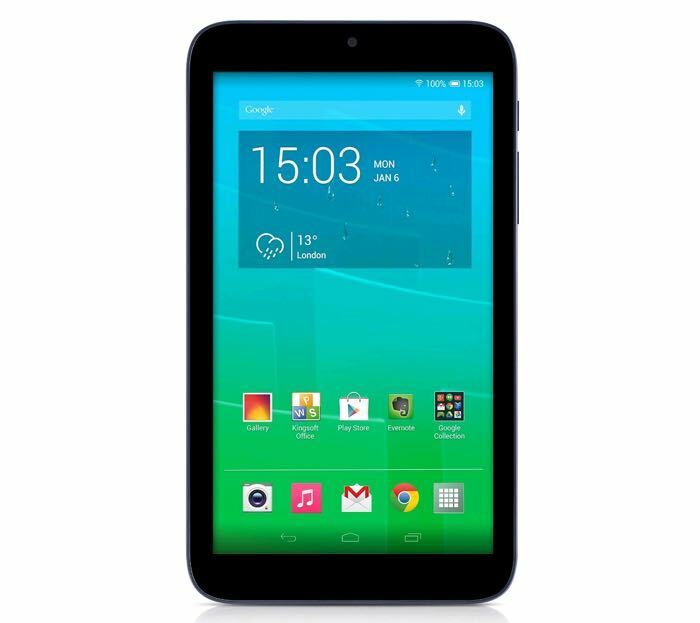 The ALCATEL ONETOUCH Pixi 7 tablet feature an 0.3 megapixel camera on the front and back, the device also comes with a 2840 mAh battery, you can find out more details at the link below.